For years, when it came time to put my layouts into an album, I would go pick out whichever album I fancied, grab the appropriate refill pages, and put the thing together. Finished! But this led to one problem - I had tons of refill pages, maybe three or four of each kind, that were leftover from various albums, and of course did not fit into another type of album. And really, what can you do them? I mean a few can be kept for protecting various projects in progress, but really I had too many and they were essentially useless. Total waste of precious scrapbooking funds! 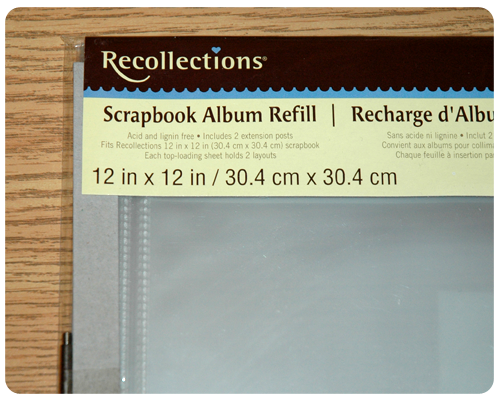 So, a few years back, I decided to only purchase one type of album, with the corresponding refill pages, from then on. The albums I chose to use are by Recollections and are available at Michael's. Each year (so far) Michael's has them on sale - 2 for $16 - which is incredible since they are regularly priced at $16 each. They are good quality albums and they come in a variety of colorful cover patterns which I really like. Each year I do a family album which usually fills two books. I buy two albums with the same cover pattern for the year so that when the albums are on the shelf I can see clearly which books go together. 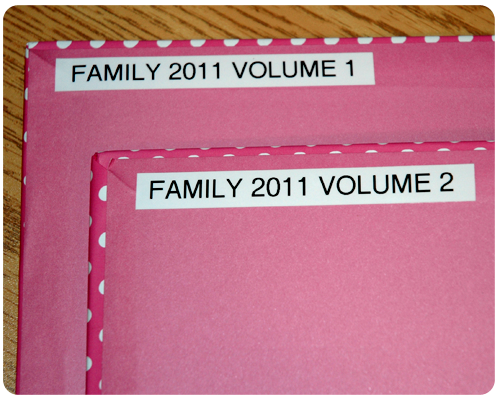 I just got around to putting my 2011 family layouts into two of these polka dot albums. Because I used the same album type last year, I already had refill pages on hand. And to finish things off and keep everything straight, I made labels for the inside covers using my handy-dandy label maker (love that thing!). This system is working well for me and so long as I can get these albums I will continue to use them. 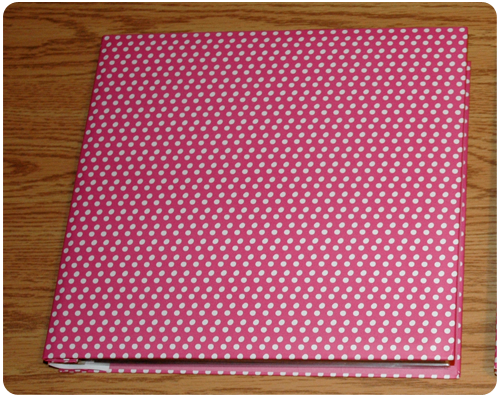 What type of scrapbook albums do you use? The same ones every year or do you change it up?